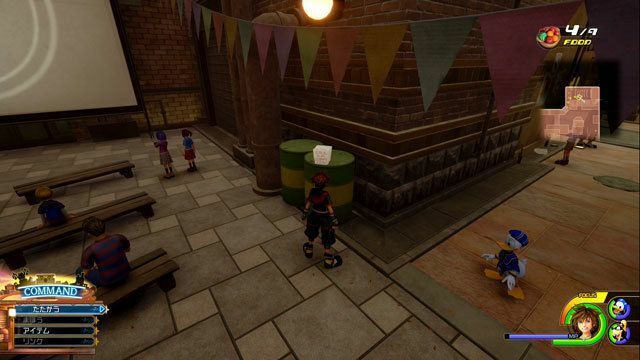 A complete walkthrough of Twilight Town in Kingdom Hearts 3, including ally characters, obtainable equipment, and items. Shooting Star Obtained after clearing the World. Use the world map to head to the next world. When the Demon Tide glows blue, you cannot deal any damage to it. The best time to attack the boss is when it moves slowly. Dodge its attacks and then follow up with a counterattack. Using Fire magic when the Demon Tide is far from you is also effective. The battle will end when you reduce the enemy’s HP by half. Celery Before the door of the building in front of the restaurant. Tongue Flounder On the roof of the building where you got the celery. Caviar On the green drums in the theater. Tongue Flounder On the chair of the theater. Cloves On the box behind the theater. Chocolate On the chair in front of the building in the south of the theater. Caviar The roof of the building where you got the chocolate. Onion On the chair in the area where many posters are found (north of the town). 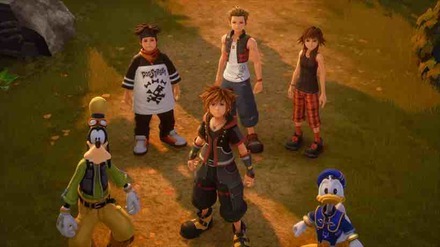 Sora, Goofy, and Donald Duck return to Twilight Town in search of Roxas. The party must cooperate with Hayner, Pence, and Olette to explore the town and find what they are looking for. 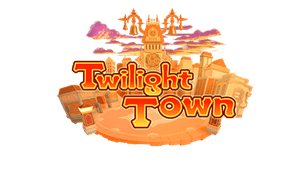 You can find out more about Kingdom Hearts’ Twilight Town adventure here.